Last week Chrissie Wellington, four-time ironman world champion, announced her retirement. I have watched Chrissie compete over the years, and have always been amazed by her talent. One announcer said of her, “There’s Chrissie and then there’s everyone else.” Of her many wins, the race I remember the best was 2010, the year she pulled out of the ironman the morning of. Are You Skiing in the Proper Position? With so many of the resorts opening this weekend or already opened it’s time to go through the closet and pull out your ski gear. Seems like we always save this for the night before or the first storm. No matter how prepared I am something gets left behind. 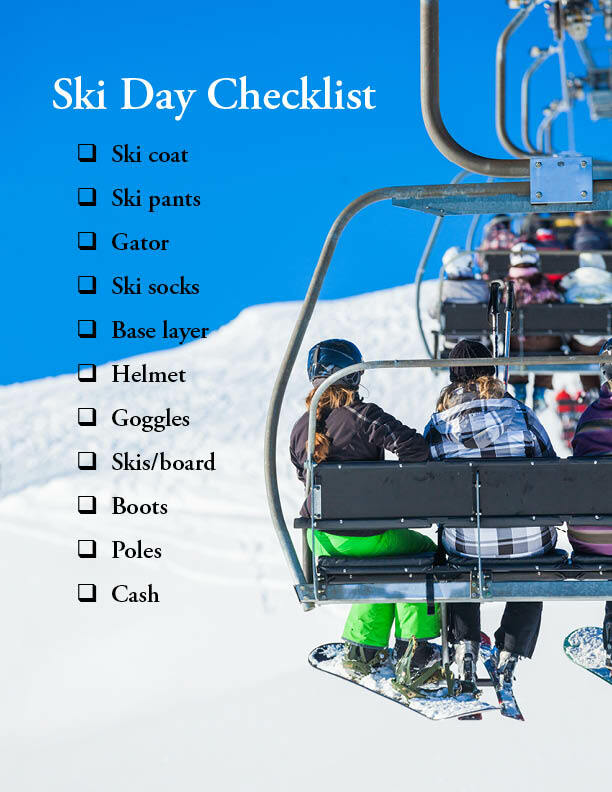 So I’ve created a pre-ski day checklist.